16 were baptized and 49 completed our Bible marking course. We did 6 three-day regional trainings. Many are unable to attend our school so we send teams out to do trainings. Our dentists treated 24 patients and extracted 30 teeth. We have the only dentist in 6 counties. The Gospel is presented to every patient, many of which are Muslims. Hundreds of thousands of Bibles have been distributed in over 1,000 villages. For those who are illiterate we have given away many audio Bibles on small memory chips, in their dialects, that can be used in phones and music players. 96 homes received water filters and we did filter follow-up visits to 184 homes in 16 villages/towns. Every home receiving a filter also receives the Gospel. We showed the Jesus film in many villages to over a thousand people this month. Our adult literacy team has 14 students. We had 10 members of Woodside Church in Detroit come for a short-term mission trip. Wow, was it ever a mission adventure! It was divinely powerful, brutal, fruitful, and life changing. It was life changing for the team and those they ministered to. They showed the Jesus film to 4 villages of the unreached Muslims from the Gola and Vai tribes. They went where Wordsower Liberia has never gone before. They evangelized boldly and fearlessly from house to house in those villages producing fruit that will last for all eternity. They ministered in the prison twice. In the Ivorian refugee camp they showed the Jesus film twice along with door to door evangelism. They ministered in Franzay, a village with a demonic stronghold. There they showed the Jesus film and met the demonic society’s resistance but overcame them. That night in Franzay was a significant breaking of the enemy’s stronghold. But knockouts require a one-two punch. The next day they returned to Franzay and went door to door evangelizing!!! Ahh! What joy to forcefully advance with fearless disciples!!! 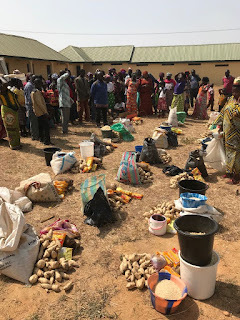 That same day they also went to another village to daub the house of the pastor of Gwenibo. Daubing is to pack mud in the walls of a building. 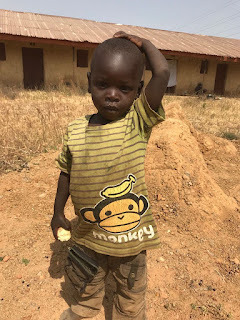 Gwenibo was also once a demonic stronghold but now has a healthy worshiping community of believers with their own church building. We, His disciples, show up and always the strongholds fall, always!!! Another mission was going to Jellue. We traveled for almost an hour, standing in the back of a pick-up truck, going deeper and deeper into the rain forest. Then we hiked another 2 hours on a small jungle trail crossing rivers on rotten log “bridges.” The welcoming was one for kings, receiving the very best they had. 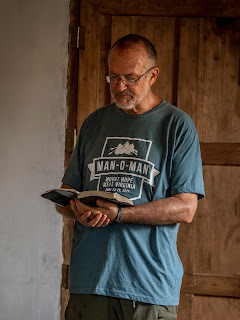 There we showed the Jesus film, slept on the dirt floor of a daubed church, and the next day hiked out carrying smoked monkey for the next day’s meal. Their personal stories of our Lord’s hand on them, hardships, sufferings, but most importantly lasting fruit are many. Oh, was the trip brutal! But the brutality was against the generational strongholds of the enemy. You will hear their testimonies later. The team is David Bahbah, David Mills, Bob Murray, Steve Schlicker, Jan-Georg Van Der With, David Watts, Matt Waugh, Aaron Wood, Todd Wood, and Brian Wood. Below are some pictures from their trip. Praise!! As we go back to neighboring Guinea. Continue to pray for our first indigenous missionary team that has been sent to Capemount County. They are surrounded with 3 Muslim unreached tribes. We have a team of 2 coming in May. They are coming to fix our broken printing press. Pray for this team. Pray they will bring the needed parts and be able to get the press running again. In April we will be sending a permanent indigenous missionary team to Ivory Coast. Pray as they go. Pray that our Lord will use us to train and send an army of Liberian warriors that will reach into the 393 unreached tribes of West Africa. Wordsower Liberia exists because our Lord has called and united a team of obedient disciples who have all sacrificed. You are a part of the team by praying and participating financially. Money you earn could have been spent on selfish desires, but instead was given towards an everlasting harvest. These who go on the bikes to the villages would not be able to do it without your participation. The harvest is truly plentiful. The workers are us; the united, the sacrificial, the faithful, the obedient. 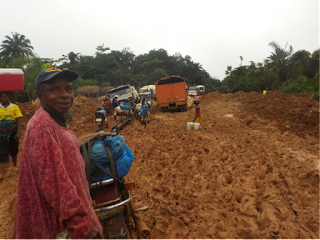 Let us continue to pray for even more laborers here in Liberia and supporters abroad. I believe that as we unite, we will be utterly amazed, far beyond our dreams, at the harvest that will come from our obedient sacrifice. You see our monthly reports, sometimes skimming them in haste of other things. You see the numbers. Numbers on paper create small effect. Below is a story from within one of those numbers. The team in the pictures below left their mission in Grand Bassa County at 3:00 in the afternoon to return to our base. They arrived at 9:00 in the morning. The following day they drove throughout the night for 18 hours on a bad road. They suffered, wrecked, bled, were bruised, were in danger, risked, slept for a few hours on the ground in a village, and returned rejoicing!!! Mission accomplished! The Gospel of Christ and His word of Salvation and hope was taught and preached!!! For that, the team - you and I - joyfully sacrifice and greatly suffer. You read in the report that we went on 86 missions to 139 villages, without knowing the cost. The wound you see in the picture is a burn caused by a bike wreak from the muffler laying on the leg. 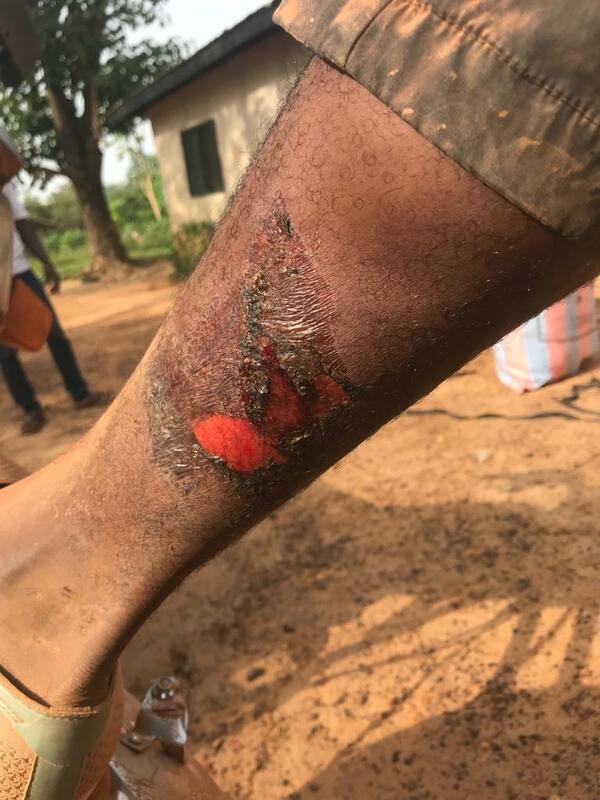 The brutal treatment is to rub gasoline from the bike into the wound to stop infection and reduce swelling. These are common, most of us have scars from muffler burns. United, each team member doing their assigned task, forcefully advances the Gospel of our Lord. Our first indigenous missionary team in Wacco village of Capemont County are boldly advancing. They are surrounded by 3 unreached Muslim tribes, the Vai, Gola, and Mandingo. 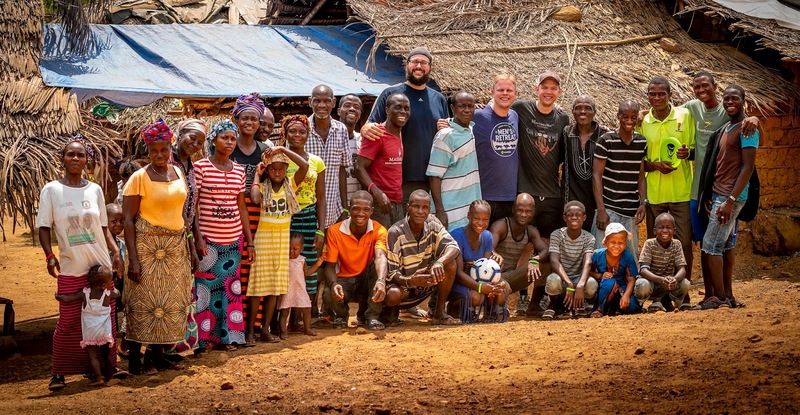 They went on 26 missions to 16 villages/towns and did one conference while teaching 80 students in the school they started. Rest? Hardly! We did 3, three-day regional trainings. Many are unable to attend our school so we send teams out to do trainings. Our dentists treated 20 patients and extracted 24 teeth. We have the only dentist in 6 counties. The Gospel is presented to every patient, many of which are Muslims. In January, we acquired 3,000 Gideon pocket Bibles. Again, in February we acquired another 3,000 Gideon pocket Bibles. Hundreds of thousands of bibles have been distributed in over 1,000 villages. For those who are illiterate, we have given away many audio Bibles on small memory chips, in their dialects, that can be used in phones and music players. Our water filter team did follow-up visits in 28 villages/towns. They also did assessments in 24 villages. Every home that receives a filter also receives the Gospel. Our adult literacy team is training adult students. We have the only known Christian book store in 6 counties. We sell NT/OT Bibles at cost that we get in Monrovia. We can purchase a Good News Bible for $3.50. We also sell reference books and dictionaries. This is a much needed and appreciated service. The Gideon Bibles we hand out freely as part of a Bible training program. URGENT PRAYER REQUEST. 10 men from Woodside Bible Church are coming to spend 2 weeks with us. They will be going into four villages of the Muslim unreached Vai and Gola tribes to show the Jesus film and do evangelism. Pray that our Lord will prepare the people to hear and receive the Gospel!!! Our Lord says to pray for more harvesters to be sent into the field. Truly the harvest is plentiful and the workers few. Pray for more indigenous harvesters. Pray that our Lord would send more Western missionaries full time and for short term. Pray for our team now on mission in Ivory Coast, we are trying to lease property that will be used as a base. Our primary goal is to train and send indigenous missionaries into the 36 unreached Muslim tribes of ivory Coast. * From the book, Letters to the Church, by Francis Chan, pages 140-142. Our Mission has grown beyond the borders of Liberia. We are seeing that our Lord has had us cross into a new country again. 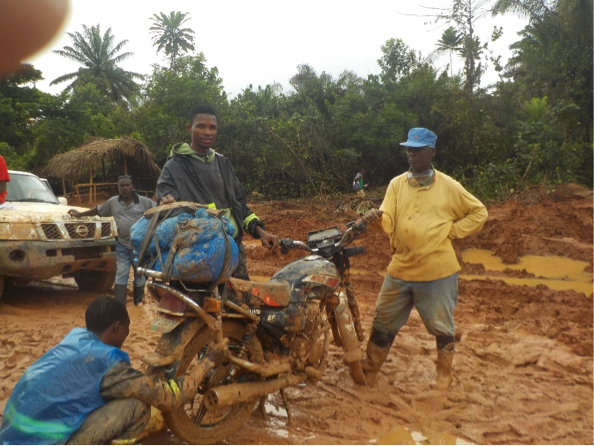 This month, January, we sent our first team into neighboring Guinea. Guinea has 21 unreached tribes of 11,400,000 people, which is 86% of the population. The team was not well received initially but before leaving a couple houses of peace were established. We hope to have another team sent there soon. Wordsower Liberia has been training indigenous disciples for 10 years. 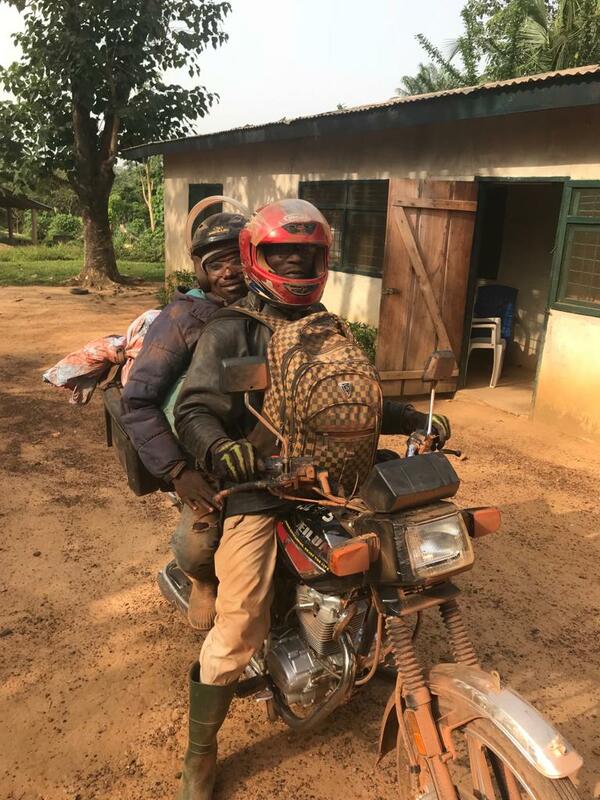 We have been in well over 1,000 villages evangelizing, discipling, and starting churches and are now ready to go outside Liberia. 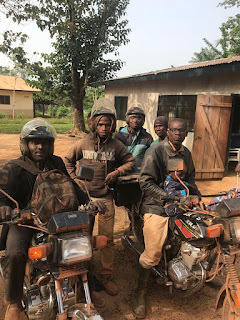 Our first indigenous missionary team in Wacco village of Capemont County are boldly advancing. They are surrounded by 3 unreached Muslim tribes: the Vai, Gola, and Mandingo. They have already been evangelizing in several Muslim villages. We did 1 three-day regional training that had attendees from 4 towns. Many are unable to attend our school so we send teams out to do trainings. Our dentists treated 12 patients and extracted 15 teeth. We have the only dentist in 6 counties. The Gospel is presented to every patient, many of which are Muslims. In January, we acquired 3,000 Gideon pocket Bibles. Hundreds of thousands of bibles have been distributed in over 1,000 villages. For those who are illiterate we have given away many audio Bibles on small memory chips, in their dialects, that can be used in phones and music players. 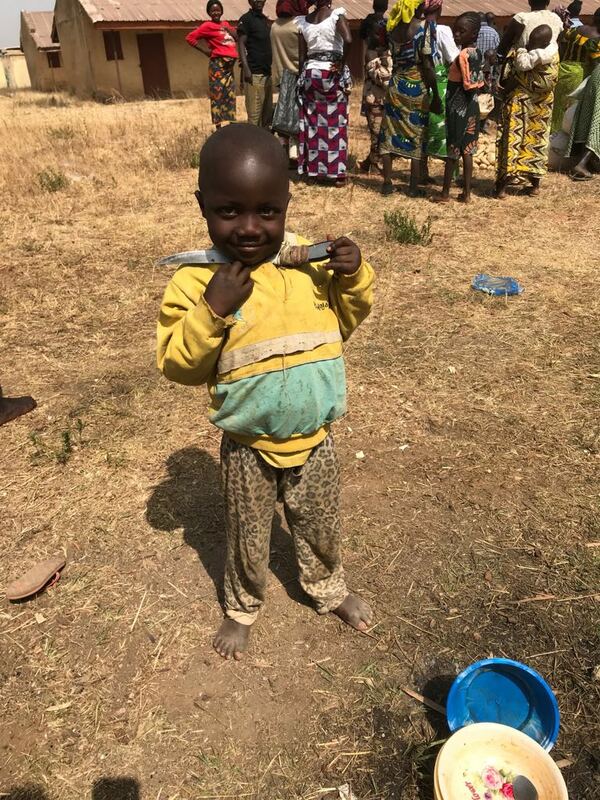 89 homes received water filters and we did filter follow-up visits in 330 homes in 27 villages and towns. Every home receiving a filter also receives the Gospel. Our adult literacy team has started new classes and has 14 students. A 2-week Wordsower Bible Institute class located on our base. Flexibility and variety allows us to reach every county, resulting in thousands receiving training. “But you will receive power when the Holy Spirit has come upon you, and you will be my witnesses in Jerusalem and in all Judea and Samaria, and to the end of the earth.” Acts 1:8. Our leaders are active ministers in their communities, our Jerusalem. 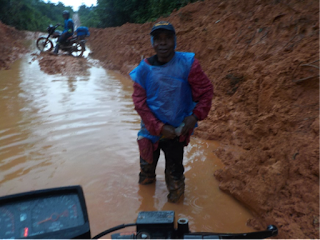 Our field leaders go on missions throughout Liberia, our Judea. 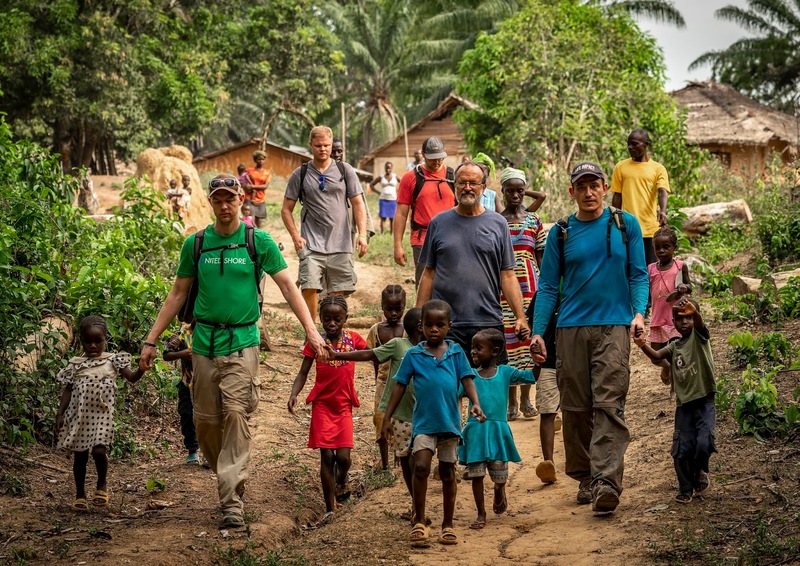 Our in-country, resident missionaries go to the unreached tribes of Liberia, our Samaria. We have also sent teams into Ivory Coast, Guinea and Nigeria on short term trips, but we have yet to send long term Liberian missionaries out of Liberia. Pray with us that next year we will have long term Liberian missionaries in countries outside Liberia, the ends of the earth. For fun! Over the net I have seen much snow and cold in the USA. You have used much de-icer. Well, here it is hard to go below 70. You use de-icer, I use a de-licer. Praise!! We have entered neighboring Guinea. Continue to pray for our first indigenous missionary team that has been sent to Capemount County. They are surrounded with three Muslim unreached tribes. Our first indigenous missionary team has moved to Wacco village of Capemont County. They are in the heart of 3 unreached Muslim tribes: the Vai, Gola, and Mandingo. 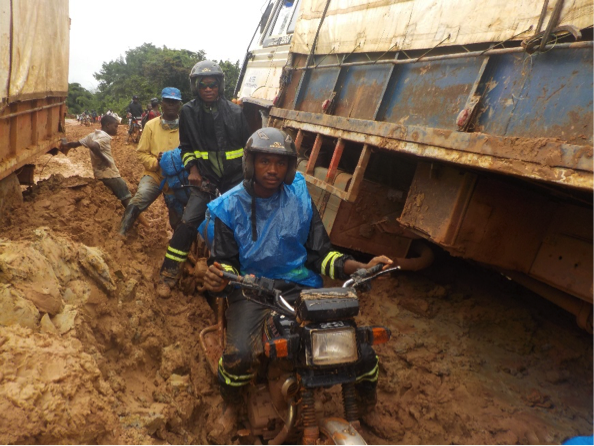 We sent teams on 51 missions to 53 villages/towns in 7 different Counties. We did 9 three-day trainings in 5 counties. Many are unable to attend our school so we send teams out to do trainings. Our dentist treated 16 patients and extracted 19 teeth. We have the only dentist in 6 counties. The Gospel is presented to every patient, many of which are Muslims. We have distributed hundreds of thousands of bibles in over a 1,000 villages. For those who are illiterate we have given away many audio Bibles on small memory chips, in their dialects, which can be used in phones and music players. 114 homes received water filters and we did followup visits in 159 homes in 18 villages/towns. Every home receiving a filter also receives His Gospel. Our adult literacy team had student graduations. In Ivory Cost, we went on mission to 3 villages/towns. We are preparing for Wordsower to establish a base in Ivory Coast. The Ivorian’s have 36 unreached tribes of approximately 7 million people. Our Lord had put it on my heart to go and see what He would have us do in Nigeria. I spent a month in Nigeria and visited 3 Internally Displaced Persons (IDP) camps as well as several villages, towns, and cities. It is estimated that the militant Muslims have killed 27,000 people, left 2 million homeless, and burnt hundreds, if not thousands, of church buildings. 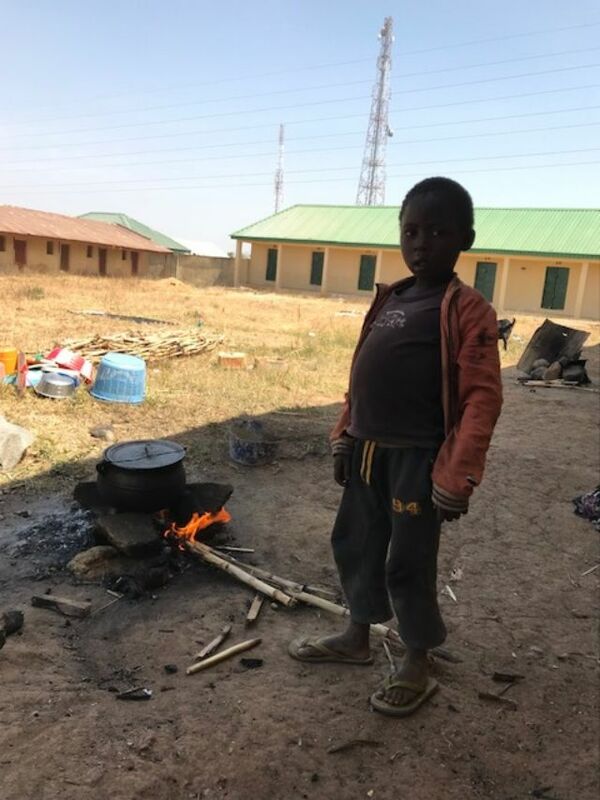 Many of the homeless have escaped to refugee camps in other countries or form IDP camps within their country. His Church in Northern Nigeria is wounded! 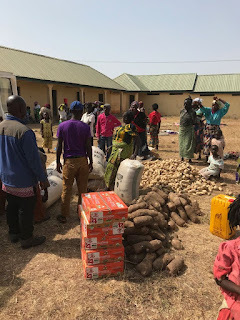 There are numerous IDP camps holding many thousands. I found an unofficial camp where about 40 unassisted families were living in an abandoned market. 35 of the families were headed by widows whose husbands had been killed. 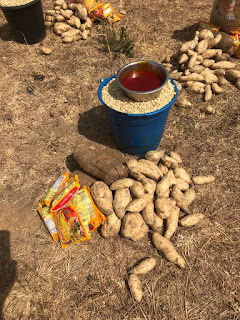 With Wordsower donations we were able to provide food and money to them twice, spending about $1,400 in total. They are in desperate condition. Every visit I made I saw no food. I want us to continue to provide them food and money until returning with a team, hopefully in April. Muslim Background Believers (MBB) are former Muslims that have become Christian. I was told by the MBBs I met that thousands have come to Christ, but are not being discipled nor have places of worship that fit their culture. With Wordsower donations we were able to provide furnishings for a MBB underground church in an abandoned upper room of a retail building. When a team and I return, we will start discipling MBBs and teach them how to start underground churches. Muslims need to hear our Lord’s Gospel. Nigeria has 95 unreached tribes of approximately 59 million people. With Wordsower donations we were able to purchase sound recording equipment for radio broadcasts. 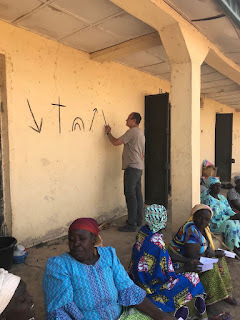 We have the opportunity to unite with MBB leaders to broadcast Bible teachings to the Muslims and hidden believers of the Hausa language in Northern Nigeria. 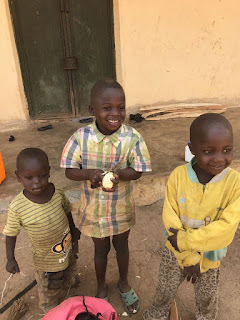 We also now have MBBs who are translating tracts and Bible teaching material into the Hausa language for us to print and distribute when we return. The discovery made while in Nigeria is that the fruit is plentiful and the workers are few!!! Our Lord has taught me through the years to just show up in obedience and He will do the rest. We united. Showing up in obedience in Nigeria will produce fruit – much fruit. Fruit that will last. Pray for Ana DeCarvalho and her son Thomas that will be coming to visit us in Liberia. Ana is on our Wordsower board. Pray for our first indigenous missionary team that has been sent to Capemount County. They are surrounded with three Muslim unreached tribes. Pray that we can open a new mission in Ivory Coast! They will go to enlarge and strengthen His church and to the 36 unreached tribes of 7 million people. 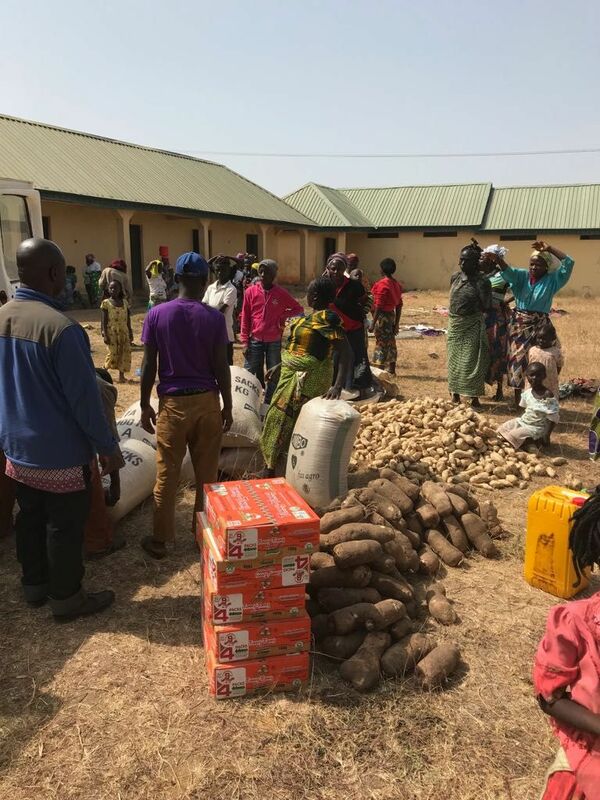 Pray that our Lord will continue to send and guide us to go into Northern Nigeria to assist His wounded church, to the Muslim Background Believers, and to reach the unreached Muslim tribes. Our Lord says to pray for more harvesters to be sent into the field. Truly the harvest is plentiful and the workers few. Pray for more indigenous and foreign harvesters. We did 5, three-day trainings in 5 counties. Many are unable to attend our school so we send teams out to do trainings. 26 attended our Wordsower Bible Institute 2-week, level-3 French class. 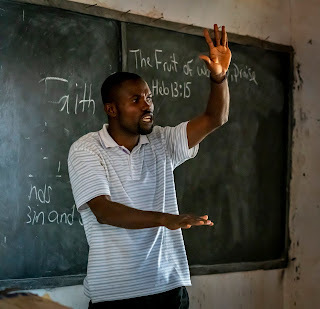 The Bible Institute trains the students in Bible doctrine, discipleship, church planting, and becoming missionaries. Our printing press has been shut down because of mechanical problems and because we are out of paper. The road is impassible; no cars or trucks can get through to bring supplies to the SE of Liberia. Our dentist treated 17 patients and extracted 20 teeth. We have the only dentist in 6 counties. His Gospel is presented to every patient, many of which are Muslims. 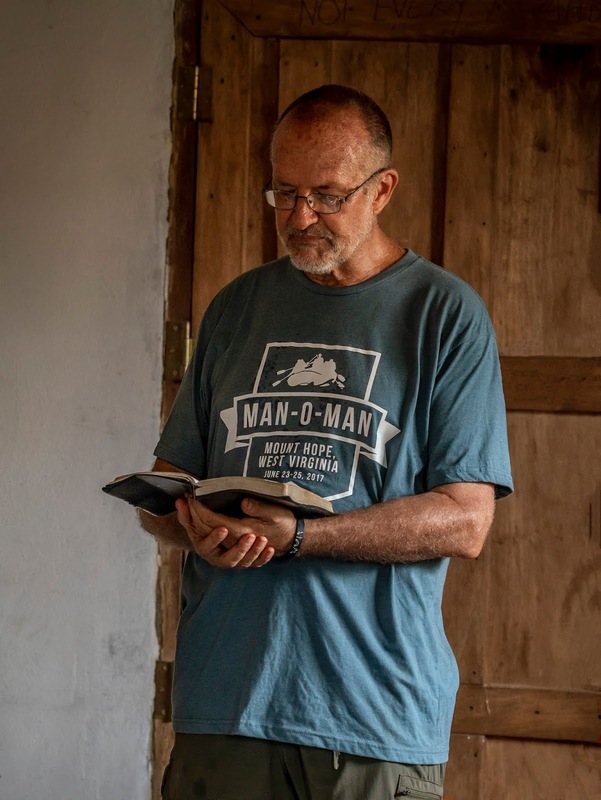 We have distributed hundreds of thousands of bibles in over a 1,000 villages. For those who are illiterate we have given away many audio Bibles on small memory chips, in their dialects, that can be used in phones and music players. 205 homes received water filters. We have the assignment of providing a water filter system to every small village home in Maryland County. Every home receiving a filter will also receive his Gospel. The Capemont County Missionary Team continues to be trained on our base in Zwedru while the mission housing and school are being renovated. We plan on the team moving to Capemont County on January 4. 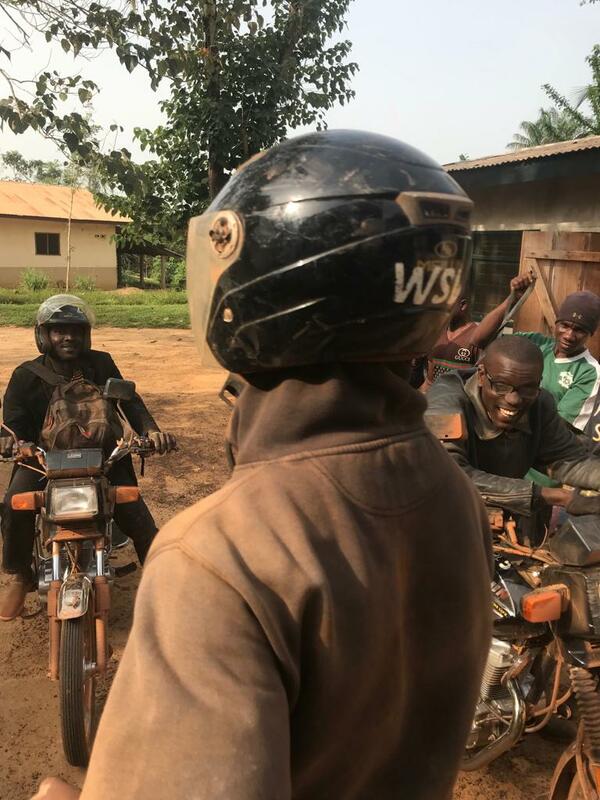 The mission of WSL is for every village of Liberia to have a healthy church. In Liberia we have a half million people in 5 unreached Muslim tribes. We must go to them!!! 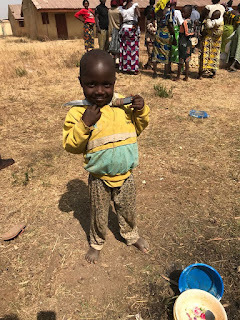 We have learned that to be accepted into an unreached resistant tribe we must “Give them what they want so that we can give them what they need.” They want a school for their children, they need Salvation through Jesus Christ. This team will be reaching the Muslim unreached Gola and Vai tribes as they give their children education. 2 Tim 2:3-4, “Endure hardship with us like a good soldier of Christ Jesus. 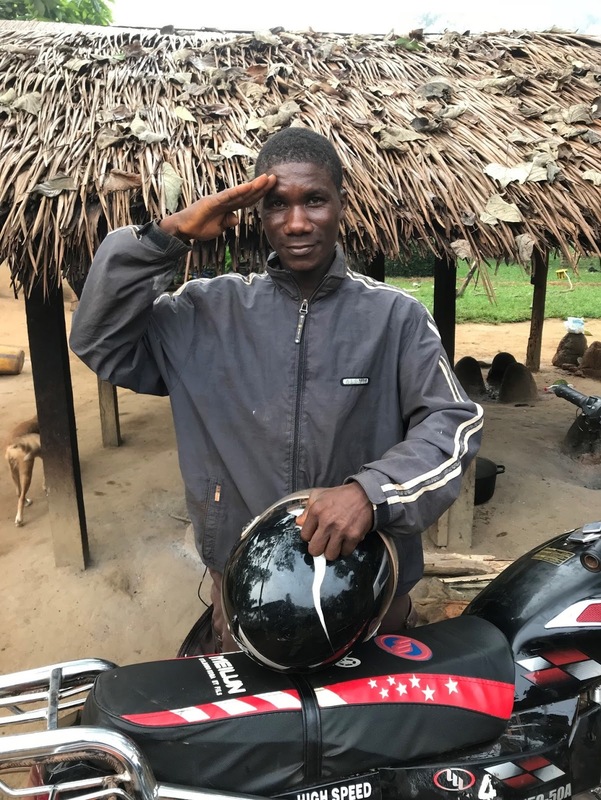 No one serving as a soldier gets involved in civilian affairs—he wants to please his commanding officer.” Francis in the picture below is holding the helmet he was wearing when he got into an accident. The helmet split. After returning from the hospital he got another helmet and went out again. He is a true soldier of the Cross. Francis loves the American marines and is one in our Lord’s army. Accidents will never cease. Today many have wounds healing from the bikes, myself included. 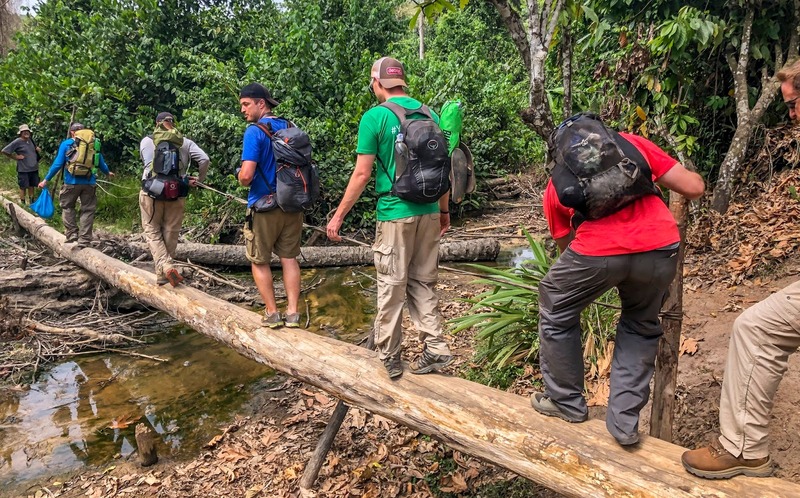 Pray for our continued protection as we go to remote places, to the lost, and to strengthen His Church. On December 9, this Sunday I, Kim, will be flying to Nigeria and will return to Liberia on January 4. I feel compelled by the Spirit to go to the refugee camps to see His wounded church and to seek the lost. Our Lord commands for us, His Church, to participate in these. 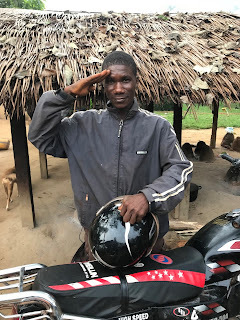 Praise, a team went to Ivory Coast and have found a perfect place to lease. Pray that we will be able to lease it. Pray that we can open a new mission in Ivory Coast! They go to enlarge and strengthen His church and to the 36 unreached tribes of 7 million people. Pray for our filter team as they distribute filters in a new county, Maryland County. Our indigenous missionary team is going to the unreached Vai and Gola tribes on January 4th. Pray that our Lord will prepare our team to go and our Lord will prepare the tribes to receive. $84 – literacy Ministry. 4 classes of students meet each week.